In the historic neighborhood of Ballard, evidence of the old fishing town still shows between the new housing, shopping, and restaurants like Bramling Cross. 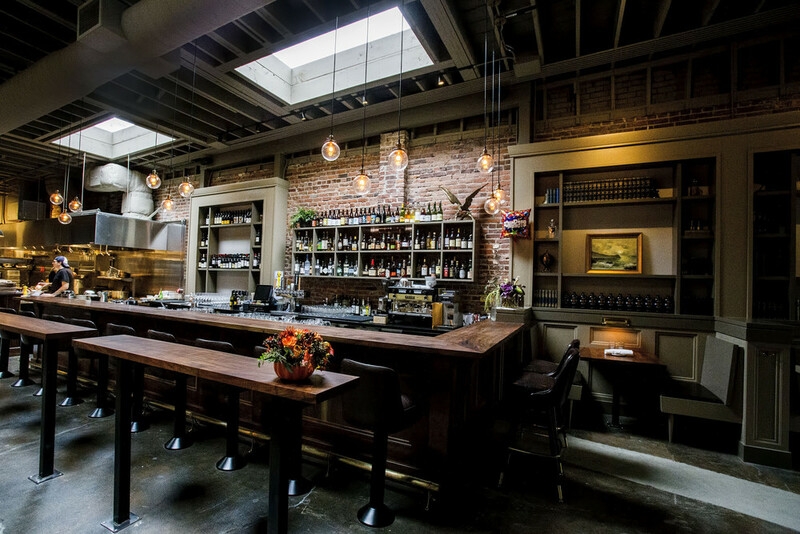 With a local chef Ethan Stowell as the client, the desire was to create the perfect gastropub to celebrate his work alongside an extensive selection of local beer. This long and narrow space came with a number of challenges, including a very unique ceiling structure that spans between the walls of the two neighboring buildings. While adding new skylights to brighten the space, new structural posts were added along both masonry walls to create a rhythm for a series of two and four seat booths punctuated by display units and brass fixtures. 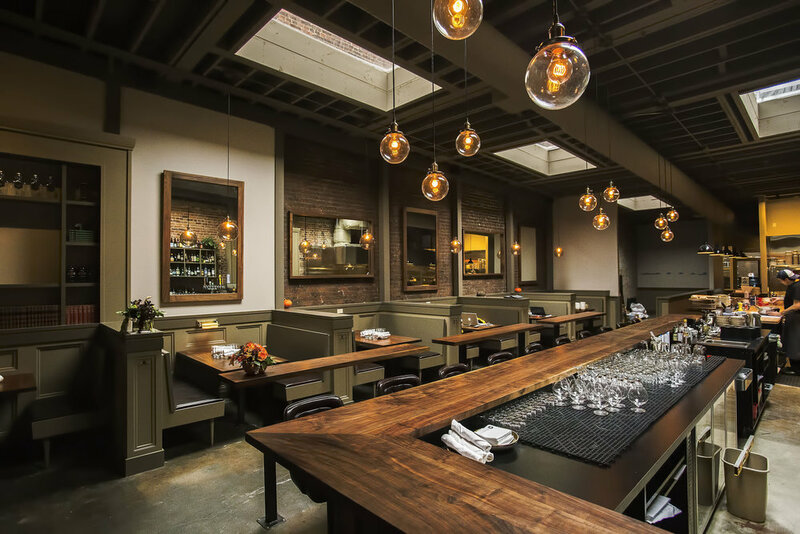 The generous bar and service counter are all Claro Walnut, the highlight of the space, which ties into the warmth of the brick. With a combination of traditional and modern details against the rough texture of the masonry walls and exposed structure above, Bramling Cross is designed to embrace the rich character of the historic neighborhood.